It’s a bad look for the beacon of Democracy, Occupiers. The people of the United States are beginning to question the sanctity of our vote. In the next presidential election, nearly a third of the population will cast votes that leave no sort of public record. If you can’t count the votes, you have to look for little signals in the meta data to find evidence of electoral foul play. Dr. Beth Clarkson joins Occupy Radio this week to discuss her statistical detective work, and the roadblocks she’s encountering from the state. 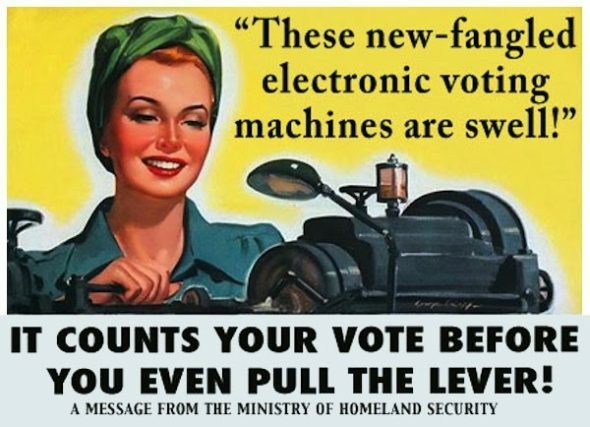 October 2, 2016 | Filed under Audio, Occupy Radio and tagged with conyers report, dr beth clarkson, e voting, electronic voting.